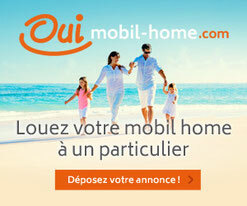 Nouveau site pour bien louer votre Mobilhome. Une révolution ! Ce nouveau site est une Révolution dans le monde de la location de Mobilhome. En effet, d'une part par son design moderne, de la simplicité d’utilisation, il est surtout le seul site de location de vacances réservé aux propriétaire de mobilhome. Vous pourrez ainsi mettre votre annonce avec vos plus belles photos, vos tarifs, la description du mobilhome et du camping, mettre un lien vers votre site internet, une cartographie de localisation. Ce qui est révolutionnaire et la sécurité pour le vacancier lorsqu'il voit apparaitre sur l'annonce un badge "Annonce certifiée"
J'espère pouvoir bientôt vous proposer des remises ou avantages pour la publication de vos annonces. sure you are interested kindly responded to my message. Hello there! Do you know if they make any plugins to assist with Search Engine Optimization? I'm trying to get my blog to rank for some targeted keywords but I'm not seeing very good results. If you know of any please share. Appreciate it! If you desire to get a great deal from this article then you have to apply these methods to your won web site. If some one needs to be updated with hottest technologies then he must be pay a visit this web page and be up to date every day. Hi there, I think your web site may be having browser compatibility issues. When I look at your blog in Safari, it looks fine however, when opening in Internet Explorer, it's got some overlapping issues. I merely wanted to provide you with a quick heads up! Aside from that, fantastic blog! Superb, what a weblog it is! This blog gives useful data to us, keep it up. Hi there, all is going well here and ofcourse every one is sharing information, that's actually excellent, keep up writing. Does your site have a contact page? I'm having a tough time locating it but, I'd like to shoot you an email. I've got some recommendations for your blog you might be interested in hearing. Either way, great website and I look forward to seeing it expand over time. It's truly very difficult in this busy life to listen news on TV, thus I simply use web for that purpose, and get the latest information. What's up to every body, it's my first go to see of this web site; this blog consists of awesome and really fine material in support of visitors. When I initially commented I clicked the "Notify me when new comments are added" checkbox and now each time a comment is added I get several emails with the same comment. Is there any way you can remove me from that service? Bless you! Aw, this was an exceptionally good post. Spending some time and actual effort to produce a very good article� but what can I say� I procrastinate a lot and don't seem to get nearly anything done. At this time it sounds like BlogEngine is the preferred blogging platform out there right now. (from what I've read) Is that what you're using on your blog? When I originally left a comment I seem to have clicked on the -Notify me when new comments are added- checkbox and now every time a comment is added I receive four emails with the exact same comment. Is there an easy method you can remove me from that service? Appreciate it!